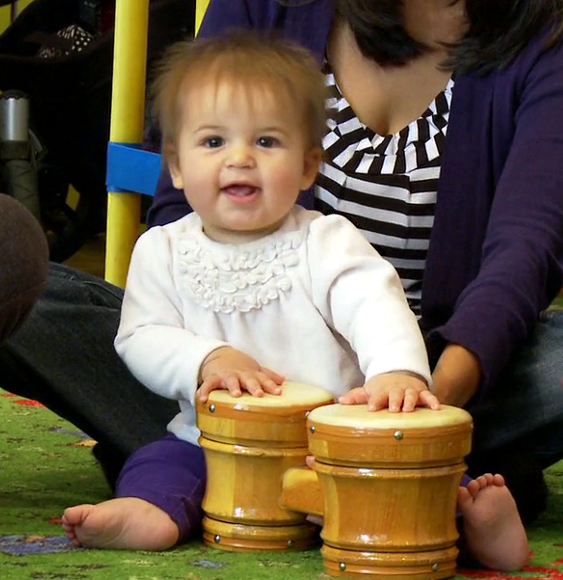 For the most part, the best way for your child to learn to play the bongos is by simply letting them go at it! There’s no need to try to provide proper instruction as very young ages, because the fun part for them will be experimenting and seeing how the instrument reacts to their actions. 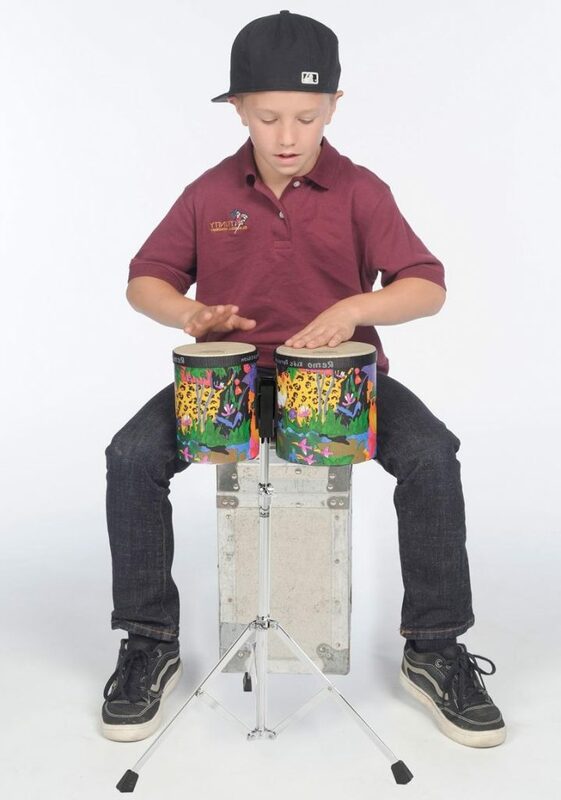 No other instrument offers the direct feedback that a percussion instrument like the bongo can. Once you kid grows up and becomes more advanced, there’s a wealth of online material that can teach them some new techniques to producing different sounds. Here’s a great YouTube channel that will keep them busy for a while! 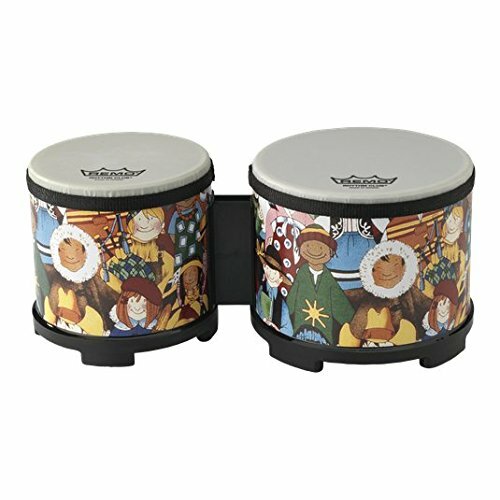 The Remo Rhythm Club Bongos come from a company with a strong tradition in making great drums for serious musicians, so we’re very fortunate they offer a variety for kids. These bongos come in a 5″/6″ size and don’t require any tuning. These bongos can take a lot of abuse from kids without breaking which is always a bonus. “Like Ruprecht from the movie ‘Dirty Rotten Scoundrels’, my 2 year old’s favorite activity is to bang on pots and pans. I bought these bongos and he ADORES them! They sure are built to last!” Tracy M, Ohio. The tops are made from a synthetic drum-head material, not plastic like you see in some “toy” instruments out there. To hear the amazing sound of these bongos, check out the video below. When your child is a bit older or just more experienced with the bongos, they’ll be ready for a musical instrument closer to what the pros use. 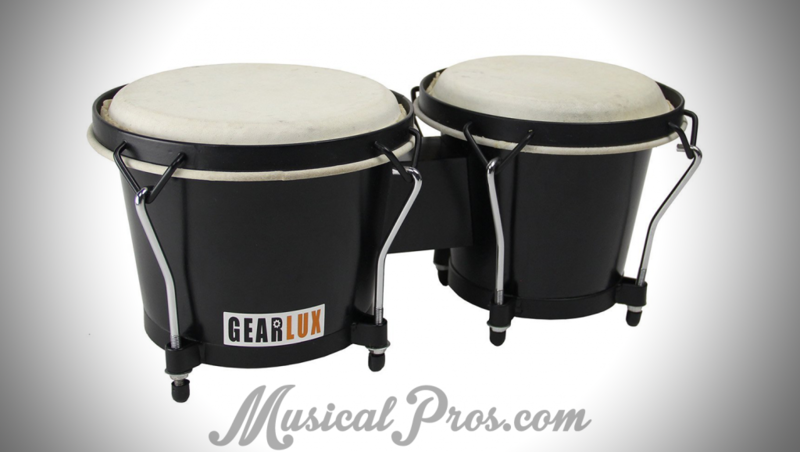 The GearLux Wooden Bongos are a great next step, as they’re very affordable and a very legitimate musical instrument. 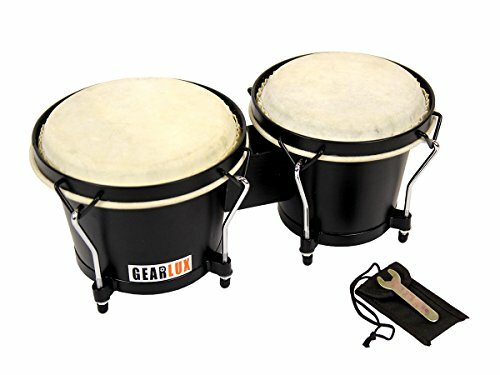 With these bongos, your child can feel what it’s like to play on genuine hide heads and learn to tune the heads of their drums. “Ordered these as a gift for my daughter’s 11th birthday. She’s learning the drums at school. Bongo drums are such a great choice for the home. They are sturdily made, and have dragged her off her cell phone for weeks now!” David C, Washington. Customers also rave about the customer service from this manufacturer – always great to have support a company that stands behind their product. At 14 years and beyond, we suggest you take a look at our guide to the best bongos for beginner adults. There you’ll find everything you need to know about picking out the best bongos for your money, and a little more about the history of the bongos.